Q. How do I put money on my FLEX account using my debit/credit card? You can now put money on your FLEX account (which is used to pay for printing at the Salmon Library, but also can be used for laundry services, dining services, vending, and so forth) using your debit or credit card, online. To do this, go to http://www.uah.edu/chargercard and then scroll down until you see "Charger Card Online Deposit" and choose "Add Extra Flex Dollars". There, under the payment gateway, you can enter your name and A-number and choose the term. 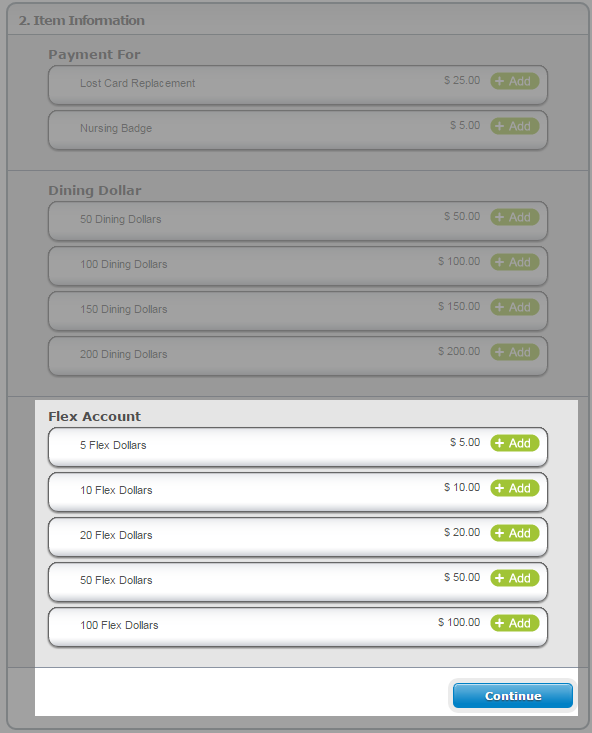 Step 2 involves choosing an increment of money to put on the FLEX account - $5, $10, $20, $50, or $100 - and then click continue to enter payment information and to confirm. Screenshots are included. You can also put money on your account (minimum $10) at the Cashier's Office in the Conference Training Center (CTC213). There are other ways. 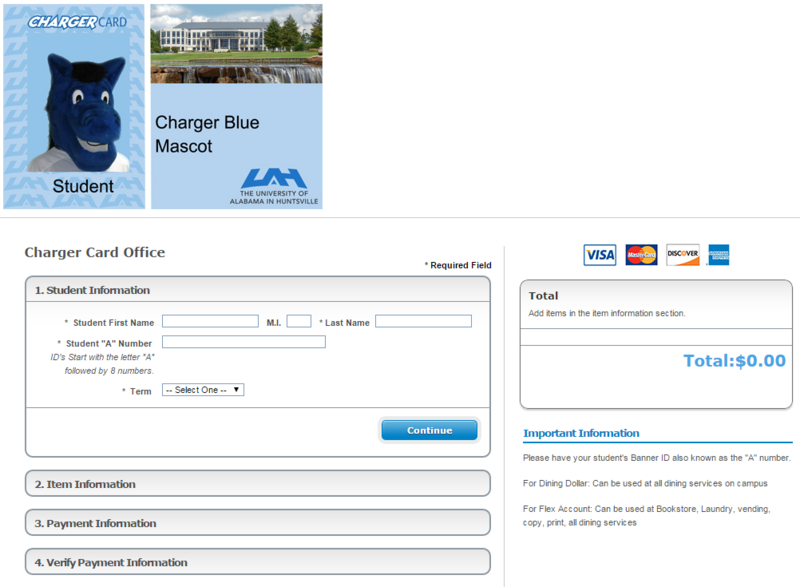 To see them, see the Charger Card FAQ at http://www.uah.edu/chargercard/faqs.